While we’re on the subject of my birthday, I went out and celebrated the weekend before with a friend. Because I’m obsessed with the honky tonks in downtown Nashville, she was a good sport and tagged along. Now, sequins don’t quite fit the cowboy boots theme of Nashville. But, it’s my party, I can wear what I want to. Of course, it was freezing outside, though, and downtown Nashville is a walking experience. So, I through on a blanket(ish) scarf and called it a day. For those wondering, I was still cold. But, who remembers that when they have a great outfit to reflect on? Don’t judge me that my tree was still up in mid-January…it was a busy time for me. 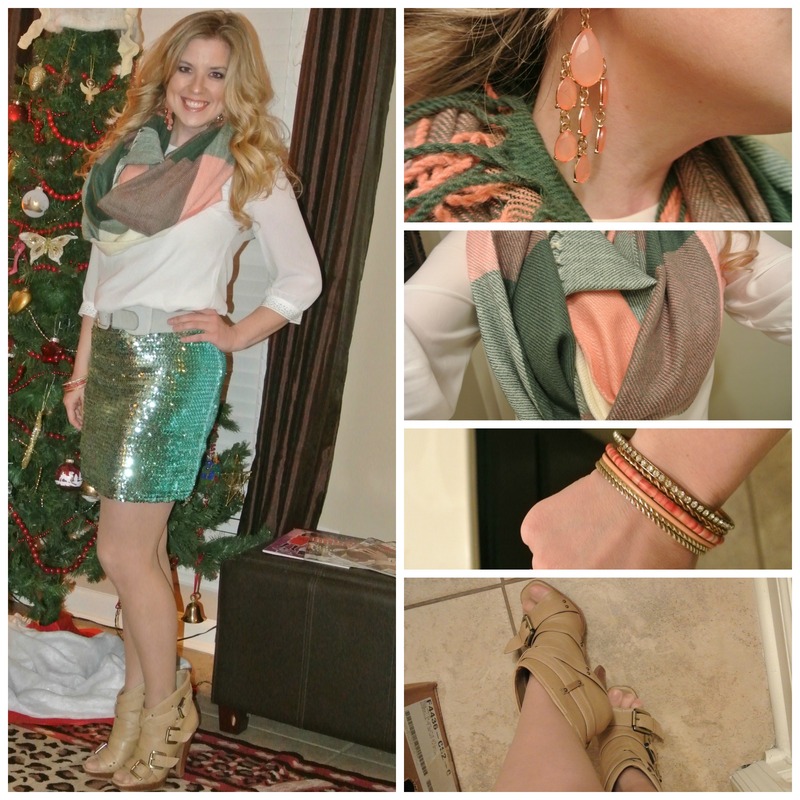 How do you like my sequins with plaid scarf combo? Too high-low or just enough mixing of styles to work?